Every year I pull these three books off the shelf around Thanksgiving. The entire series The A.D. 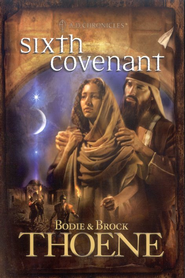 Chronicles by Brock & Bodie Thoene books 1-12 is excellent! I read and re-read these often. For the holidays though, the story of Mary, Joseph, Elizabeth, Zachariah, and the Wise-men doesn’t get better than these! They reveal something new every time and bring me closer to Yeshua (Jesus) without fail. 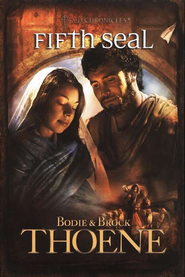 Much love and effort went into these stories by the Thoene’s, in their historical accuracy, biblical truth, and even educate about the stars, planets and skies as done all those years ago. You won’t look at the night sky the same ever again! 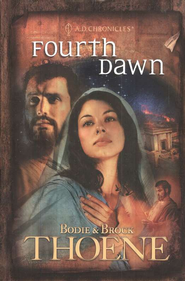 These three books 4,5 & 6; take you from the beginning of the New Testament to the time of Mary, Joseph and young baby Yeshua’s departure for Egypt. Weaving the evil of those days and incredible movement of the Spirit of God into the culture and characters with breathtaking accuracy. It’s as close to a 3-D experience in reading one can get! Leaving you wondering if God didn’t come down and dictate to the Thoene’s word for word, sight for sound, and truth for transformation. You will definitely want to pick up book Seven and keep going :-). I love these authors for their passion to honor the Hebraic roots of our Savior, and strenuous efforts to historical accuracy they bring into all their work. The characters are full and vibrant, rich and real. So, I read these every year to bring my heart “in line” with the stars so long ago, to herald anew my Saviors birth. To remind myself what this holiday season is really about. To honor my Shepherd with all my heart, mind and soul. There are so many controversies surrounding these holidays. Hanukkah or Christmas? When was Jesus really born? Merry Christmas or Happy Holidays? It quite disheartening to be truthful. It falls in line with the point Paul made about not arguing about trivial things, as unity in Yeshua was the pivotal point, which always lands in love! No, Yeshua was not born on December 25th. Yes, Christmas came to be because of a Saint long ago’s desire to be generous. No, I do not believe Santa Claus should be anywhere near what we teach our children about on Christmas if you are going to celebrate that day as Yeshua’s birthday. The two confuse each other. Either teach about Saint Nicholas and his story and leave Jesus out if it, or teach about Yeshua and His birth. These never should have been brought into the same hemisphere, in my humble opinion. As for Hanukkah, this holiday is a Jewish holiday, but not to be confused with those of the Old Testament’s commanded feast. It is not, was not, ever commanded by God to celebrate. It is a wonderful story of God’s miraculous provision during a very troubled time for Israel. I will leave it to you to look into the history of it, its well worth it believe me. With so many friends and family celebrating Yeshua’s Birthday during this time of year. I have chosen to honor His Birth as the center for my celebration during December. It must be a conviction between you and Him alone, what, why, and how you celebrate at this time. No one has any right to pass judgement on anyone because only God is qualified to judge the total of a human heart. I pray you will invest in these books, and find the joy, awe, and wonder of the Birth of our precious Savior Yeshua the Messiah (Jesus Christ). They will add to the festive and humbling nature of the gift God gave us in Yeshua. May they “speak out” from the echos of those days into your soul and breathe the Life of the Son right into your days, add Light to your celebration, and joy unspeakable to your walk with Him! God with us, Immanuel!